Alhamdulillah and I am very grateful to share with you my recent article entitled “Regulatory Framework of Shari’ah Governance System in Malaysia, GCC Countries and the UK” in the special issue of the Kyoto Bulletin of Islamic Area Studies on Islamic Finance (2010 March, Vol. 3 No.2). The Kyoto Bulletin of Islamic Area Studies is a refereed journal published by the Centre for Islamic Area Studies of Kyoto University. I presented this paper during the Kyoto-Durham Workshop on Islamic economic that took place in Kyoto, Japan last July. This article will also be published by Routledge in a book edited by Asutay, Kosugi and Sairally entitled “New Horizons in Islamic Studies” Series this year, InsyaAllah. particularly from the regulatory overview as Malaysia represents model in mixed legal jurisdiction, GCC in Islamic and mixed legal environment and the UK in non-Islamic legal environment…… Hasan, (2010: 82). 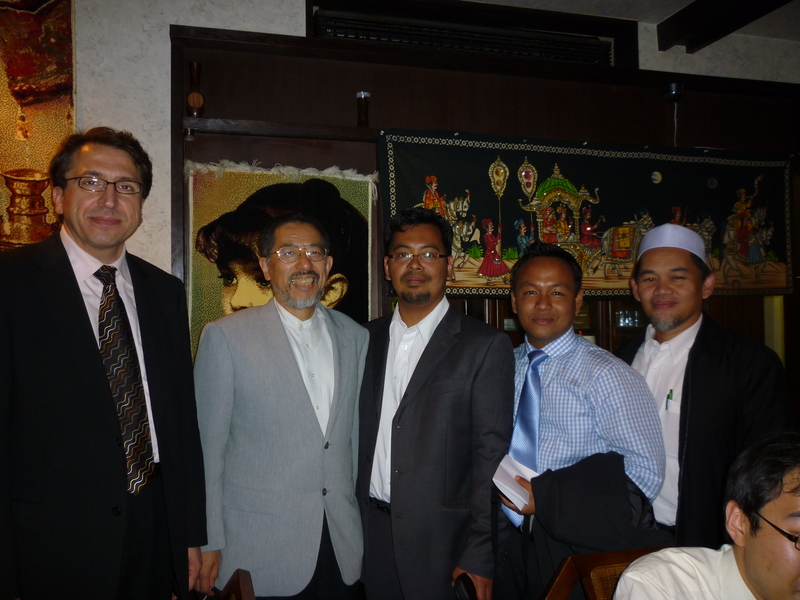 With Dr. Mehmet Asutay, Professor Kosugi Yasushi, Mr. Hylmun Izhar and Professor Abdul Ghafar Ismail at Kyoto University. 1. Accidentally found your blog & i saw your photo with Professor Kosugi Yasushi. 2. Yes, i read about him at http://drmaza.com/home/?p=1284. Keep-up your good job! Barakallahufeek! hope this email finds you well. I am a phd student from IIUM in Gombak, KL. I would like to know more about your research project and your results. I read a bit about your research. My research interest is more on the Audit and Shariah Review side rather then Shariah. I am from Turkey and met Dr. Mehmet Asutay in Madrid last year on ie Business School conference.